Tatjana Crossley completed her Master in Architecture at the Harvard Graduate School of Design (2015) and her Bachelor in Architecture at Rice University (2013). Throughout her architectural education, Tatjana has been studying the relationship between designed environments and human experiences. 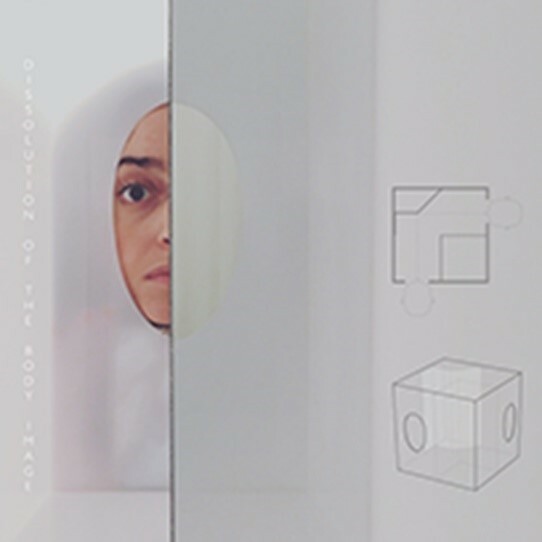 Her master’s thesis focused on the object-subject relationships that form through “the gaze” and how these relationships can be manipulated through architecture. This work inspired her current doctoral research of the visual device and the immersive environment and their effects on the dissolution and recreation of the body image. In 2016, Tatjana was awarded the Calouste Gulbenkian Global Excellence Scholarship to continue this research. Architecture defines relationships between bodies and space. It is through these relationships that object-subject hierarchies form, affecting human behaviour and habitus. The thesis studies how immersive design can be used as a supportive tool in shaping ‘normal experience’ to create new extended notions of body image and new understandings of space and place.